For all his many, many faults, I still find Jeffrey Wells of Hollywood Elsewhere to be a compelling read. I don't always agree with his points of view or even his tactics in discussing them, but he does put it all out there, so to speak. One of the points he hammers on insistently is that there exists a secret brain trust, which he refers to as the "fascists," dedicated to to eradicating 1.33:1 ("full frame") transfers in favor of the HDTV-friendly 1.85:1 ("widescreen") aspect ratio. Granted, home video does currently favor something closer to widescreen, but I've yet to see an instance of reverse pan and scan in which a film definitely, irrefutably intended for 1.33:1 gets hacked to 1.85:1. More common is that a film from the 1950s was shot in 1.33:1 with the intention of being matted down to 1.85:1 for theatrical showings, and this wiggle room has made it possible for DVD/Blu-ray distributors to frame those films to suit the times (in the era of boxy TVs, we got full frame transfers; now, we get the versions people would've actually seen in theaters). In this set of films, I've generally found the widescreen transfers more aesthetically pleasing, but moreover have noticed that great directors (the ones who made films most likely to end up on Blu-ray at this juncture) just tend to frame for both, knowing full well by then that their films would eventually play on television in the full frame ratio. Buried amongst the Otto Premigers, Charles Laughtons, Sidney Lumets, and Stanley Kubricks of this era was another director whose rise to prominence took a decidedly different course - Edward D. Wood, Jr. 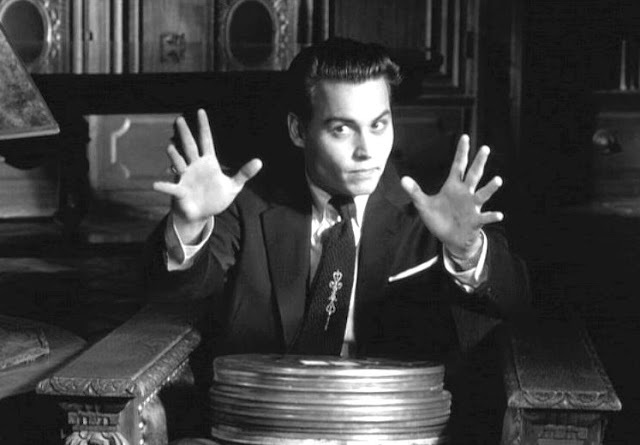 Okay, that's Johnny Depp as Wood in Ed Wood, but it's really hard to picture the guy any differently. 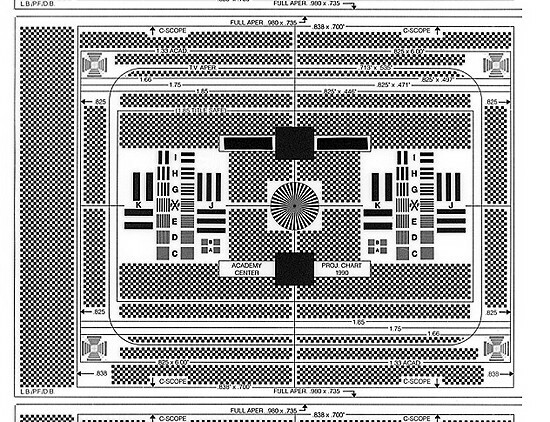 I had the opportunity to look at Legend's new Blu-ray release of Plan 9 from Outer Space (out today), and while the transfer is, on the whole, commendable, I found their choice of aspect ratio...interesting. 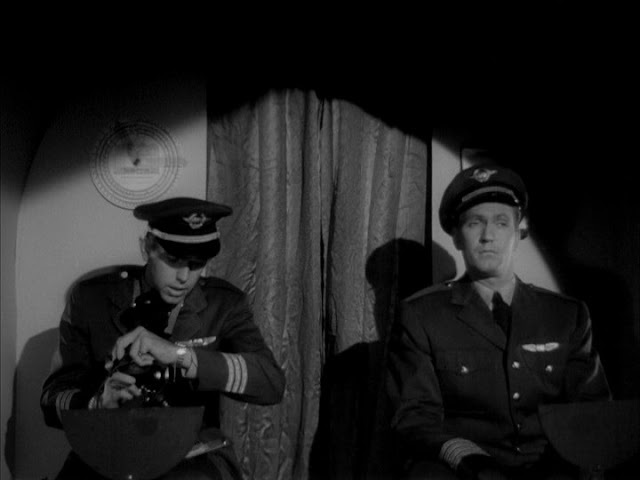 The film is presented in 1.33:1, which was the film's shooting ratio, but like the films discussed above, it was intended to be matted for 1.85:1, and like those same films, it was eventually shown on television. Unlike those films, Plan 9 was not widely seen theatrically. Like most cheaply-made genre flicks of the day, it played from town to town with no real promotion to speak of, but found new life, yes, on television, and yes, in its shooting ratio of 1.33:1. 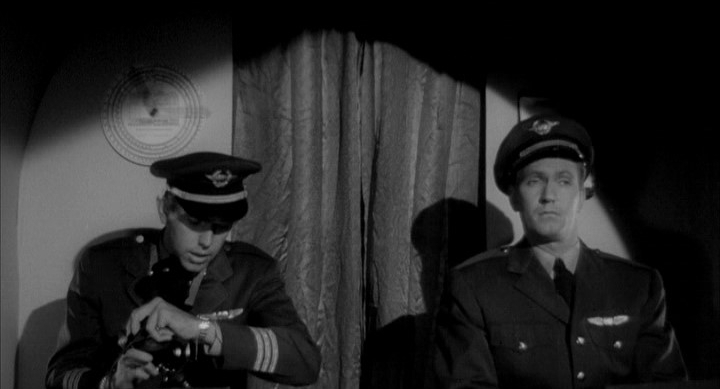 This shot is frequently mocked for the absurdity of the airplane controls, or rather lack thereof - apparently all that's required to control a commercial aircraft is a steering wheel that looks like a piece of cardboard. Now let's look at that same shot, but cropped to (roughly; I had to do this myself) the theatrically-exhibited 1.85:1 ratio, which is arguably what Wood intended. It's still not a very well-framed shot, but it is designed to cover up Wood's limited budget. Not only are the steering wheels gone; so too is the near-cavernous negative space at the top of the frame. Further, the 1.85:1 version makes the space feel much more cramped, much more, well, like an actual airline cockpit. Other scenes would play out similarly - shadows on backdrops, visible boom mics, and more would be eliminated entirely. Even if Wood wasn't forward-thinking enough (or perhaps just didn't have the money) to account for Plan 9's eventual life on television, he at least knew, perhaps only in a rudimentary sense, that what Martin Scorsese said is true - cinema is a matter of what's in the frame and what's out.